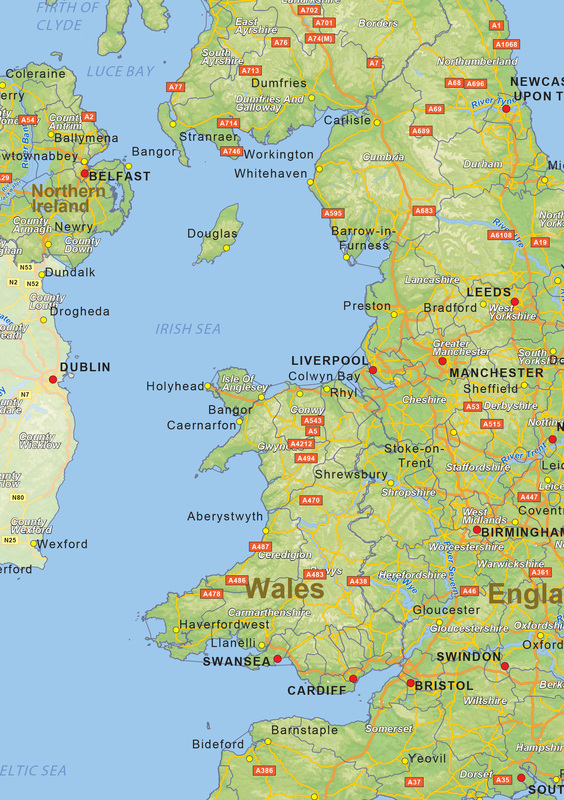 A clear map of the United Kingdom on A3 format showing the main roads. The heights are shown in different colors. All major places and many smaller places are displayed on the map.